Get a free Junior Wormery when you buy any 2 Wormeries! I really can’t believe how quickly Christmas has launched itself upon us this year! We’re running a Free Delivery promotion at the moment, which will run right up to Christmas and has been running since the end of November. However, we’ve just launched a new, limited-time offer for those of you looking at our Wormeries. For all customers who order any 2 Wormeries from www.originalorganics.co.uk we will now give you a Junior Wormery absolutely free. So you could get 3 pressies for the price of 2. Or, if you order 4 wormeries, you’ll get 2 FREE Junior Wormeries (and so on!). Our Junior Wormery is absolutely excellent for kids to learn all about recycling, composting and gardening and it’s fascinating too. It’s also a perfectly usable working Wormery (even though it’s on a smaller scale) so is suitable for single person use also. 3 Wormeries for the price of 2 and all of it delivered FREE? Great value we think! Have a look at our Wormeries now! 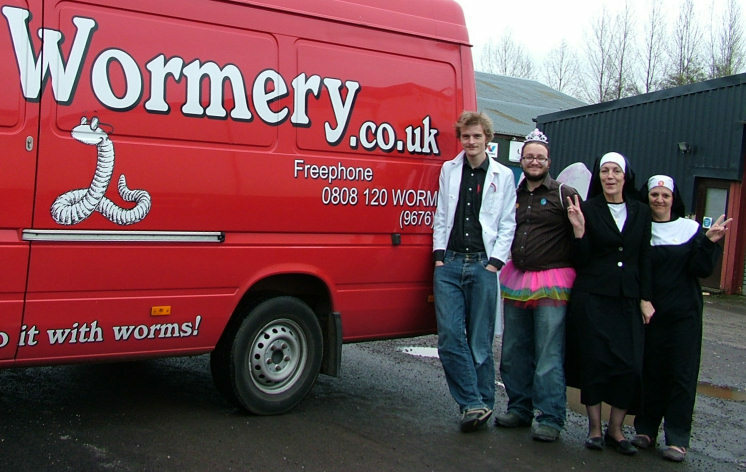 Late last year we launched the first incarnation of our Worm Forum – with an aim to gather a community of Wormery users (including ourselves of course!) and offer help, support and advice to those with questions or problems about / with any of our products (or just Wormeries / Composting in general). Our intentions were simple. To promote recycling wherever possible and the benefits environmentally of composting food waste rather than letting it go to landfill. Unfortunately, pretty quickly the site turned into nothing more than a platform for anonymous complaints slamming our apparent ‘poor service’ and ‘inferior quality products’. Posts which, we strongly suspect, were made by 1 or 2 of our smaller competitors. The posts were made through anonymous proxies which hide the true online identity of the source computer / network and there wasn’t a single case where we able to actually identify that these posts came from genuine customers. There was no trace of an order for any of them and we identified similarities in the writing style of many of the posts. Because of this, we spent almost all our time trying to help people who didn’t really exist or who weren’t really using one of our products – so we were forced to take the forum offline earlier this year. It was a shame that we lost what we had hoped could be a very valuable community resource, so on relaunching our website recently we thought we would give it another go. So, as of today the wormery forum is back – in its new form. If you have any questions at all about Wormeries / Composting or about any of our products – we would love to hear them. Or, if you have one of our products and it’s not working as it should – come and let us know and we’ll do our best to help! That is – if you actually are using one of our products!! We would be happy to hear from you – so come on in!